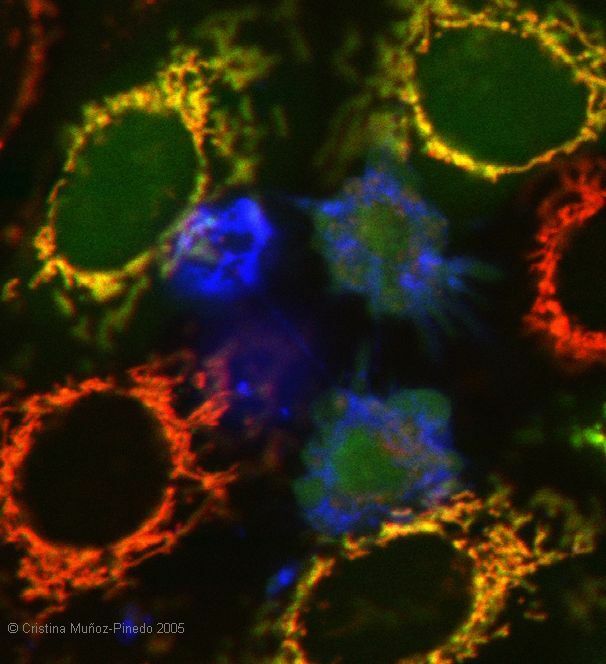 Welcome to this website, focused on apoptosis and cell death. You will find a monthly list of articles that deal with the basic machinery of apoptosis and other forms of cell death. This list is available as monthly posts in this page, or you can subscribe to receive it via email. This page and the Apolist are maintained by Cristina Muñoz-Pinedo at IDIBELL, Barcelona. Our lab studies interactions between the cell death machinery, cell metabolism and disease. If you are interested in a position in our lab please contact me at cmunoz(at)idibell.cat. The website of the division at IDIBELL. Apored, the Spanish Network on Apoptosis. Monthly literature on the interphase of cell death, cell metabolism and cancer: the MetaboList. The DeathBase, a database of proteins involved in cell death.